Fall prevention is a vital element in caring for our senior loved ones at home. Being a premier Home Care Service Provider in Hawaii, let us share with you these powerful and practical ways to reduce the occurrences of falls at home, especially for your aging family member. Their awareness of this risk can give them an upper hand against these incidents and can also better arm you in assisting them. When they’re not telling you, simply ask them about this information. Know if they’re worried that they can easily fall or if they’ve ever had fall accidents before. The common reasons that your loved one can face the fall risks are episodes of dizziness, inability to balance, and mobility problems. If they’re always in pain or having difficulty managing symptoms, they can always tap the assistance of Home Care Service Providers in Hawaii. It’s vital for you to determine what the real status of their health is so that you can provide recommendations on what can be done. Encourage your aging loved one to be open about their health struggles whenever a difficulty arises. Their non-adherence can result in side effects, which can put them at greater risk for side effects. If they’re having difficulty managing their medications, a helper providing home care services can also aid your aging loved one in religiously taking their medicines. This way, their risks of falling can be minimized. If they’ve been to a doctor’s checkup, make a follow-up about the results. Our aging loved one can be at great risk of falls when their sight is problematic. When they’re already wearing eyeglasses or contact lenses, ensure that their prescriptions or eye treatments are being used according to their doctor’s advice. 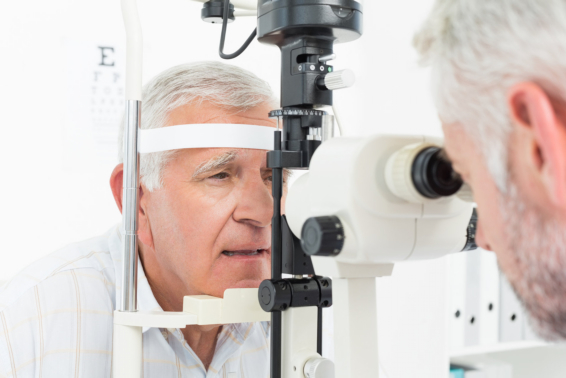 If your senior parent is already having eye problems and they’re not getting it checked with a doctor, accompany them to this checkup so they can be encouraged to care for their eyes, and in so doing, protect themselves from falling. When you notice that your aging loved one is showing difficulty in their mobility, it could be a key indicator for them to meet with a physical therapist. This healthcare professional can work with your aging loved one so they can recover with their strength and improves on their balance and gait. Does your aging loved one needs further support and assistance at home? Our team at Helping Hands Healthcare is ready to help and serve them. If you’re interested in this service, tap us for inquiries. This entry was posted in Senior Health and tagged Doctors Checkup, elderly care, Fall prevention, Home Care. Bookmark the permalink.